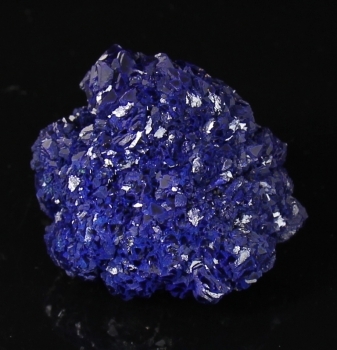 This is one of the best Azurite roses from Utah we got from Hawthorneden when we purchased all their inventory. It is brilliant and sparkly, without any damage. It is an exceptional example, that I held back in our reserves. 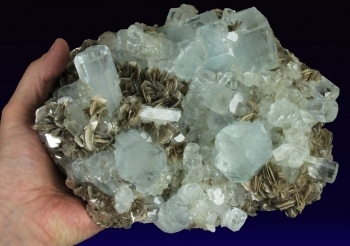 This piece came to us through Hawthorneden, because Frank had bought an entire room full of Azurites from this deposit in the late 1980's. Not much has been found since then, and in the 1990's Bisbee roses were widely available, then China started producing in the late 1990's. This piece has great color, and a fine lustre. It weighs 95 grams. This beautiful Aqua cluster came to me via an estate sale. It was mined in the late nineties, back when production was greater and quality was better. It's composed of dozens of individual ice blue aquas with silvery-gold muscovites in contrast. 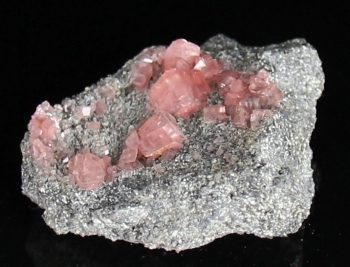 There are two pale to pinkish fluorite crystals along the left side. 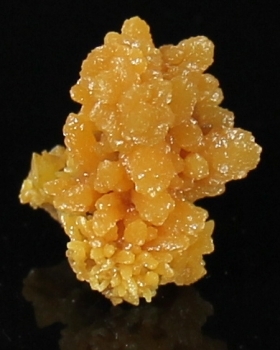 I really enjoy the variety of crystal size, ranging from 1 cm to 8 cm long. 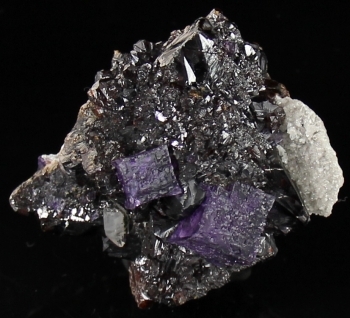 It exhibits a stunning lack of any damage, with the only exception being a rough upper left edge of a broad crystal, that is positioned on the very edge of the specimen. It displays several different ways, the rough edge is easily positioned so it is invisible. 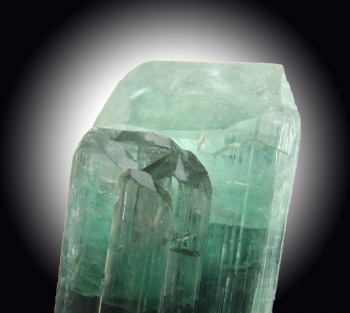 These large, gemmy Aqua specimens have become very scarce on the market. A dealer I showed this too who goes to Pakistan claimed pieces like this one are in Peshawar, with an asking price of $30,000 right now. It's a stunning piece. Millpillas has produced some amazing crystals over the last 4 or 5 years. 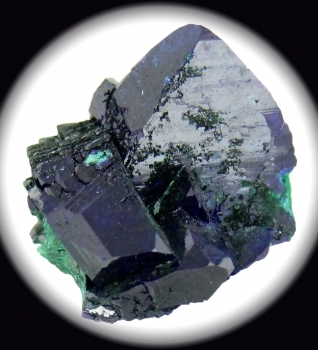 Word is that they are finished with the oxidation zone, and are not finding Azurites anymore. I got this piece through a trade. 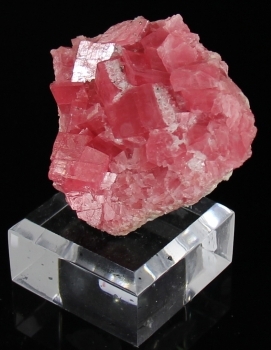 The crystals are sharp, the color is rich and the luster is bright. 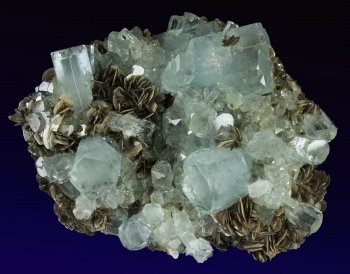 Also the crystals are pristine without damage, which is so difficult to find from this location. 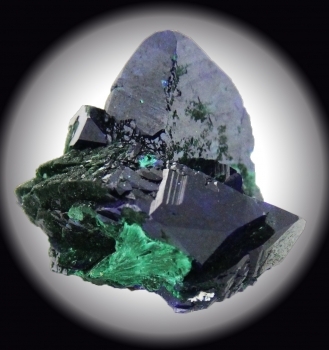 The Malachite jumps in contrast to the blue Azurite. 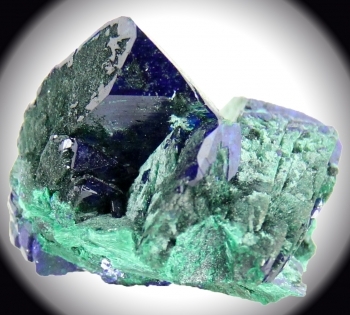 Paprok does produce indicolite from time to time. 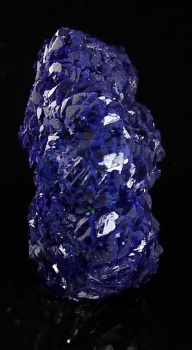 This crystal was mined in the mid to late 1990's. 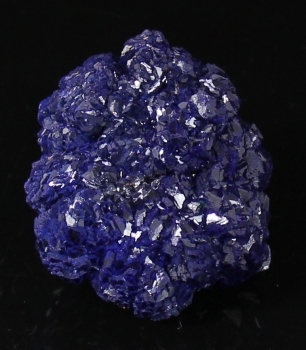 It exhibits a rich blue color to its core. 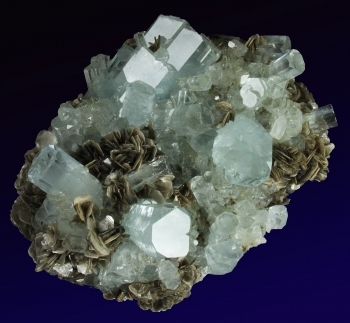 The termination is a light blue color with a simple termination on the primary crystal and complex termination on the integrated side crystal. 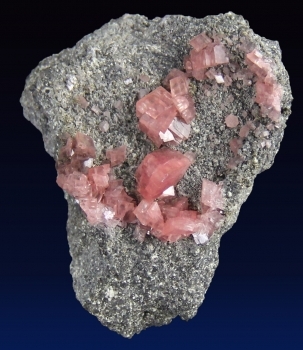 The two crystals grew together and even bent together, there is an amazing "stripe"/fault line mid-crystal where a shift occurred in the growth line, and it slightly changed its direction of growth. 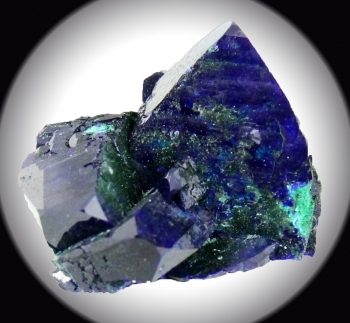 It has a bright luster, and is without damage. It's priced below $12 per gram. 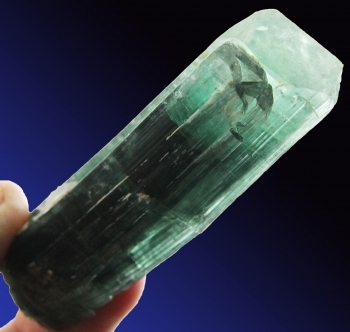 This tourmaline was the best from a kilo parcel I acquired back in 2003, when gem tourmalines were so much more plentiful on the market. It weighs 33 grams. 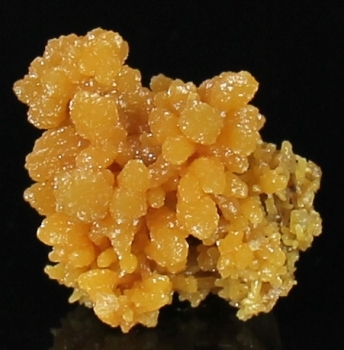 It is fully terminated without damage and has several small complete sidecar crystals. It exhibits the classice pink bottom, then apple green midsection with a pink cap. 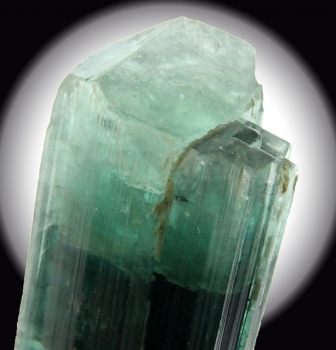 The current wholesale pricing on this crystal from Pakistani dealers is $30 per gram. 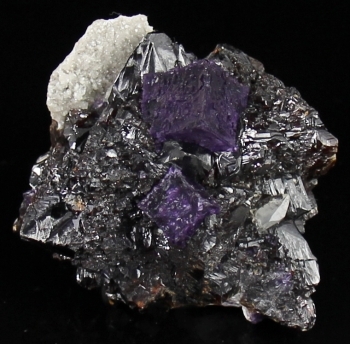 Individual crystals on matrix, instead of intergrown or drusy. They stand out with good color and crystallization. Tsumeb has been closed for twenty + years. A pocket of these spaectacular Mimetites were found at the Ojuela in the spring of '13. 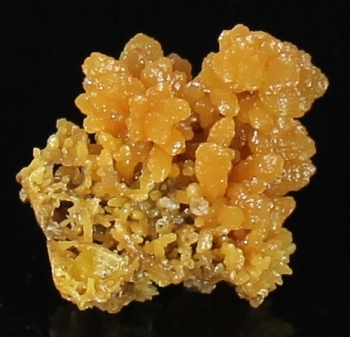 It was the first substantial find of Mimetite from the Ojuela in many decades. This piece is bright and lustrous, and undamaged. 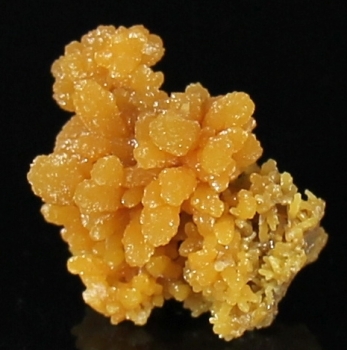 There is a small Wulfenite near the base of the same color as a bonus. Very few hit the market that were undamaged. This is one of the fattest Quartz crystals from this location I've ever seen. 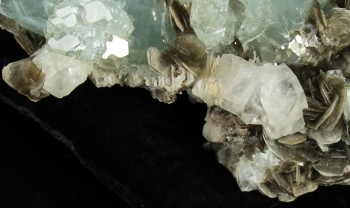 It also has two other crystals growing alongside it, which adds aesthetic appeal. These are typically mined underwater (SCUBA) off the coast of this amazing island in the Mediteranean. This is a good example of older Elmwood production. 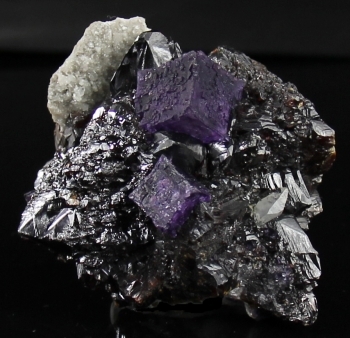 There are two gemmy purple fluorites on rootbeer, glassy Sphalerites, with a little calcite crystal tucked in for good measure. Good condition, a little rubbing on the bottom, no big deal. 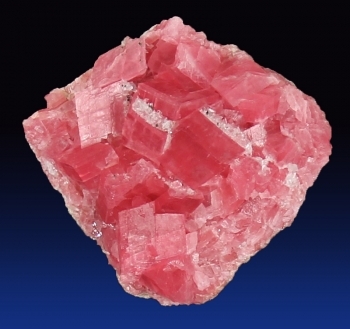 This is a good all around Colorado Rhodochrosite, composed of about 12 rhombohedrons. The color is good, with enough red to it to differentiate it from many paler examples. It's in good condition with only a little rubbing in the lower right corner. Since the mine closed several years ago these are few and far between, and I've seen prices on pieces like this pushing $2500 at other dealer's booths.